Red Hot Sale at Macy's on line. September 30 to October 4. Combine this is sale or clearance purchases for frugal name-brand buys. 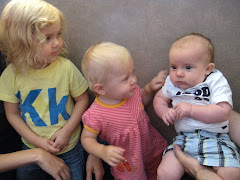 I found this Car Seat deal at Baby Age from my good friend Candace at Delectible Mommies.com. I replaced out our car seats with Recaro and Becca's Recaro Booster was amazing on our over two week trip. I am posting it here to alert my daughter Kristy who needs one for baby Mahala to match Kasja's Recaro seat. 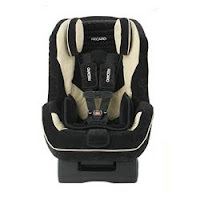 Recaro Signo Convertible Car Seat in Midnight Desert on Closeout for only $133.92 (reg. $289) plus a Bonus: Receive a free Graco Vinyl Car Seat Protector and a free Munchkin Travel Right Car-Safety Essentials (Total Value: $49.98) with the purchase of this product! Get $1.00 off coupons for Welch's Juices, $1.00 off Welch's Grape Juice, and $.75 off Welch's Grape Jelly. Becca was excited to find that she can get FREE puppy food for her teeny tiny service dog Morgan. Her five pound Morkie companion. 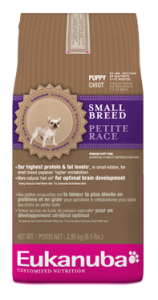 Head on over and scroll down the page to find the link for free puppy food for your furry companion. Thank you to Tara at Deal Seeking Mom for posting this deal. 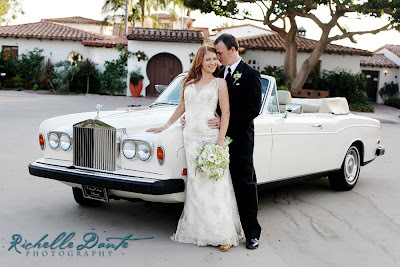 Check out the blog for Marissa's wedding pictures done by an amazing Orange County Photographer Richelle Dante. I found this amazing coupon for my daughter Kristy for my new granddaughter Mahala and decided to share. You can print 2 coupons per computer. 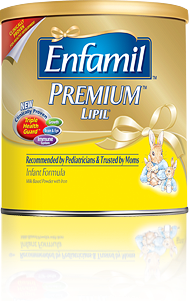 Check out today's newspaper inserts for more high value Enfamil coupons. If you are lucky enough to have Kmart Doubles here is a Scenario that you can use from Hip2Save. Buy 5 select Kellogg’s Special K products and get $5 off instantly at checkout! Target has these New Leapster Games on sale for $18. I had previously printed these off the Leapfrog site and do not have the link. I will forward the PDF coupon if you need the coupon by leaving a comment and an email. Kmart Doubles--Our Store is Doubling and Scored!! We returned from vacation to Kmart Doubling :) Doc got called in and he dropped me off at Kmart and headed to do a surgery while I shopped. Many stores have the 10 item limit, but our store manager told me to go shopping and use as many coupons as I want. I think he wants to boost sales. I am careful that I just don't cherry pick the FREEBIES, but actually spend money on things we use. Call your Kmarts to check to see if your store is doubling and the policy and limits. Break your order into $50 increments before tax to take advantage of using the $5/$50 to its fullest advantage. A Buy One Get One Free Coupon for items $2.00 or under gives you two FREE. Pick up the Flyers and Use the $3.00 off 5 Quaker Coupons with Mfg. Coupons. Buy $50 worth of Unilever, Kimberly Clark, Glade and Participating Products get $12 Catalina to roll onto another transaction. Use your P and G Coupons to combine with the $10 Catalina Deal on Tide, Downy, and a few more items. Most important of all, being a friendly coupon shopper will make the cashiers day. 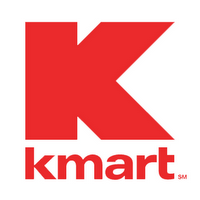 Check out the Kmart Forum at A Full Cup to Get Other Kmart Coupon Shoppers Deals. Check out Hip2Save for even more matchups. I also remember to shop at Kmart not just only on Double Days, but watch their ads and and clearance for my regular shopping needs. I broke my transactions into 4-- $50+ dollar transaction and I love our Kmart cashiers. The young man who checked me out once again, was remarking you got that for FREE. They said I was the second customer of the day and the lady that just left had over $80 worth of merchandise for around $2.00. My friend Melissa impressed the cashiers as I told them I have taught her well. With spending under $30 I scored over $260.00 worth of products. I will go back because my cart wouldn't hold anymore. I earned $5 and $12 reward to spend, so my NET Cost $18. I will get pictures posted, but for time sake will list my best finds. it may take me through the day to post the links for the printables, but will by tomorrow morning. WHAT TO DO WITH THE REWARDS? Legos are on sale $5 off any $14.99 set, use my $5 or $12 rewards for some very inexpensive or FREE Legos. My Little Pony Use $5/$20 coupon from Coupons.com with a $12.00 reward for very inexpensive pony toys. I will buy our picky dog's Moist and Meaty $13.99 bulk pack for $1.49 after the $12.00 reward. I use the rewards on things I don't get a coupon for instead of rolling them, extending the variety of things I can pick up for nearly nothing! If you are fortunate to live in Wisconsin and have a local Piggly Wiggly this is the time to stock up on General Mills Products. Buy you buy 5 General Mills Cereals get 1 Gallon of Milk Free. Buy any of the General Mills Products listed on the Ad get $5.00 off when you buy 10 items such as Grands Biscuits $.99, Pillsbury Cresants or Cinnamon Rolls for $1.66, Chex Mix $1.50 before coupons and $5.00 off 10. Print this Babies R Us IN STORE ONLY COUPON and get an extra 30% off Entire Clothing and Shoes Purchase. Combine it with sale or clearance clothing and shoes for added savings. We are back from vacation and Becca discovered this deal on the way home when visiting Wendy's. 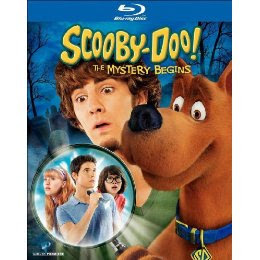 This Scooby Doo movie was released this week and is on sale through Saturday. Hang onto your receipt and proof of purchase as rumors are that there will be a $3.00 rebate coming up. 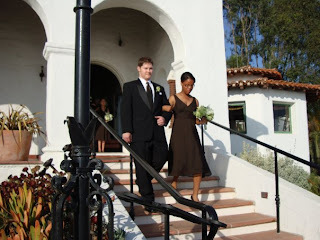 Our Detamara was a Bridesmaid and she wore a dress and heels because she loves her sister. 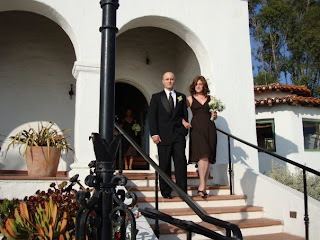 Ian was a groomsman with Marissa's Best Friend Leann as a Bridesmaid. 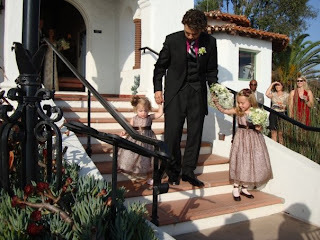 Our Granddaughter Kasja (left) and Jordan's little sister Cate were flower girls. Toys R Us has LeapFrog Learning Products Buy Two Get One Free. Use many of the recent Leapfrog Coupons on these items and save even more. I was tempted by many of the Buy 2 Get One Free Deals, but with a 2000 mile car trip home we don't have room :( Becca was eyeing the Lego City Sets, but they are too bulky to travel. These deals are amazing and usually the best Toys R Us early shopping deals do not begin until middle of October to get the Buy 2 Get One Free Deals, they are jumpstarting the shopping season. 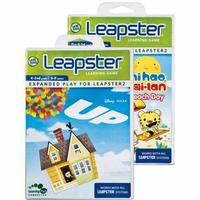 3--$4.00 off Leapfrog Coupons saving them another $12.00. It makes my day to play coupon angel and help someone save money and inspire them to coupon. After the mini-crisis phone call this morning, we headed out to avert them with picking up all the needs of the wedding day forgets. (Walmart is the closest to the hotel, and they had everything we needed). I had downloaded the pictures right before we left, and this picture says it all of our conversation. I cried then entire way, tears of gratitude, my second set of tears for the day. And there will be plenty more. I know what we forgot at Walmart... Tissues. We will have to run back. Kristy and Mahala... unexplainable miracles...we could have lost either of them or both, three times since the end of May. A uterine rupture which is an immediate emergency which went unnoticed and uncomplicated for weeks (one for the medical journals)...to the challenging delivery, Mahala surprised everyone with being fully out of the uterus... to Kristy's septic shock. I had been praying for weeks, feeling something amiss, covering my children with God's protection. God answered my prayers. Having them with us for this blessed day, Becca's is still here 20 years later, our family is what truly matters. 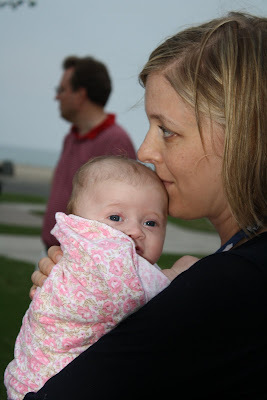 Having Becca has given me the gift of today, and treasuring each day with our loved ones. Becca now 20 on August 3rd. Thank God for the Miracles and Family. 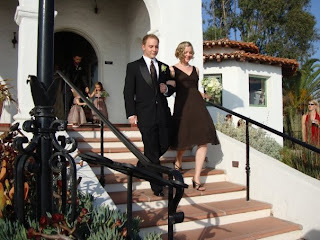 The Wedding Day is beginning with the few minor crisis that all weddings bring. 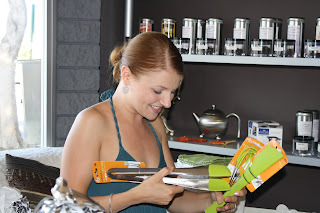 The cake cutter and champagne flutes are up at the apartment in Studio City (80 miles from Southern Orange County). Jim and I are off on a mission to find some. Crisis solved. The second phone call for the day, Marissa panicking that the Gluten-free bakery had tripled charged her debit card and they are not open until Monday. "Mom can I borrow money for my hair and nails?" "No problem, but you shouldn't be paying for that anyway." was my answer. I send Becca out with a few hundred dollar bills, and her eyes had popped right out of her head. Being responsible for Marissa's, Detamara's, and her own hair money is quite a honor. I won't worry she loses her purse as it is attached to her at all times, even at home. 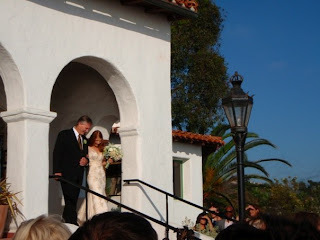 Second crisis solved, and she had to accept help with paying for more parts of this wedding. Marissa and Jordan have worked hard to pay for this massive affair on their meager earnings. We are hugely proud of both of them, but it is our honor to help when they let us. Thursday nights wedding rehearsal went without a problem, the groom's dinner was amazing. A impromptu Dana Point Beach picnic with bonfire put together by Kristy and Chris brought our family together for an evening of relaxation before the busyness of today. The girls are off to the hair appointments, Jim and I are off to Walmart and more for last minute needs. Where did the time go, it didn't seem that long ago I was chauffering my little actress to play practice, auditions or filming of commercials. All the while marveling at my organized little grown up daughter who was set on a career. My little Bubba fluff is all grown up. (Marissa was all girl, with ruffles and saggy tights and her not being able to say Marissa called herself "Bubba" and it has stuck as Yurcek's all have nicknames, some more than others). I will ruin the reputation of Mother-in-laws out there, that I absolutely like Jordan, and Kristy's Chris, Nathan's Stacey. 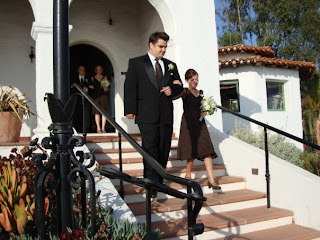 The third wedding of my children, where did the time go? found Gluten-free Pizza that was amazing. Summer is over, and Becca and Morgan have one last swim in our pool before closing it today. This year we will close the pool early due to our trip and a phone call from Melissa helped us stock up for next years pool fun after our last swim of the season. Just before leaving for our trip to the beaches of California we hit Walgreens who had just marked down their summer toys and picnic goods to 75%. Thank you to my friend and cashier at Walgreens for letting me know when the summer stuff marked down to 75% off. We are driving out to Marissa's wedding and will put our 75% off Charcoal to good use with our picnic dinners to save money. The Sand Toys are perfect for the beach by San Clemente and playing with Kasja while the Jim and our grown boys play beach football. 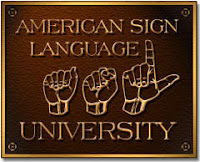 ASL University has a free on-line curriculum resource for American Sign Language students, instructors, interpreters, and parents of deaf children. There is no need to register or pay. Teachers have permission to use the lessons in their classrooms. 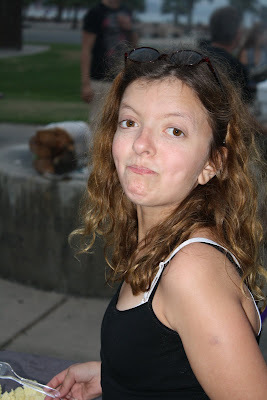 we took a year-long homeschool course back in Michigan, Becca excells, I struggle as I am not a visual learner. $5.00 is an amazing price for the American Girl DVD's. Choose from Kit, Molly, Samantha, and Felecity Movies for the American Girl Doll fan at your house. Becca has all four and they have been watched over and over again. We ordered a set for our little granddaughters to grow into. The shipping for all 4 DVD's is $4.95. 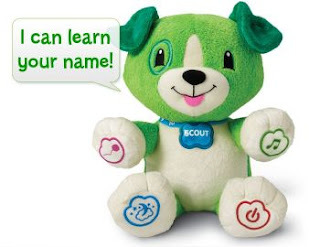 Target has the New Leap Frog My Pal Scout on sale this week for $16.99. Use this $3.00 off coupon to get it for $13.99. Leap Frog Learning Toy Coupons. I love this toy as it sings to the child using the childs name programed into the voice activation! 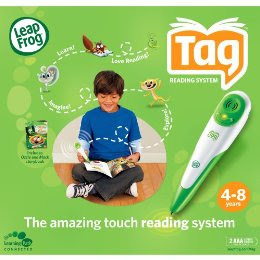 I was jealous when I heard that others were finding the Leap Frog Tag Readers for under $10 after using coupons. We have two, a boys and a girls one with all our nearly free books already, but I love giving these as gifts. I was just as excited to find the Star Wars Leapster game for $9.90 less my $5.00 coupon making it $4.90. (For a gift to go with the $9.98 Leapster I landing buying it on clearance and using a coupon). The Dora and Thomas Clickster Games (I got a Clickster System on clearance for $9.99 at Kmart earlier this summer) were $5.00 less my $3.00 coupons costing me a mere $2.00 each. Marissa is my 25-year old daughter as of Today. Happy Birthday Marissa!! And you are not old, just I am with having a 25 year old daughter. My daughter is getting married on September 19, to an amazing man. I will ruin the reputation of Mother-in-laws with liking my future son-in-law. 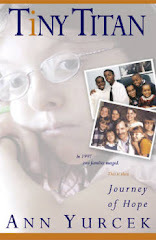 Marissa will giggle and say that Jordan and I can talk writing and books and leave her out! 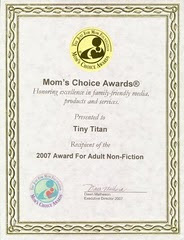 Some of you have read my story Tiny Titan and visit my blog just to keep up with this tribe of mine, others visit for the deals. But the deals recently have been set aside for the craziness of the needs of my family. For the next two plus weeks I will be blogging on the move and from the wedding. here in Wisconsin. Regularly $5.99. Titles included Angelina Ballerina, Madeline, Stuart Little, Bob the Builder, Thomas, Kailou, Barney, Baby Einstein, and many other Children's Titles. VHS tapes may be outdated but are much easier for little ones to help themselves. New titles for under a $1. $10.00 Coupon to Upgrade your old Snow White DVD to the New Diamond Edition Combo Pack (you need to register to become a Disney Movie Rewards Member. 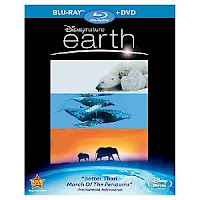 Remember to enter your Disney Movie Rewards Points and get an extra 50 points for buying both movies. Our frugal days have been set aside for days of crisis and serving. With Kristy's critical delivery of Mahala and her septic shock to worries about a couple of the adoptive young adults, to visits to the doctor for both Becca and myself. There has been many near close calls that have been repelled by prayer and protection from above. These days have been trying and I have been focusing on supporting and praying everyone through. The meeting was productive, Becca will be getting credit for her writing on my blog and her movie deals posting demonstrating her computer skills and math skills for the teachers. Who would ever have thought that someone would get credit for blogging? Becca is!! Saving money and getting credit in the process. 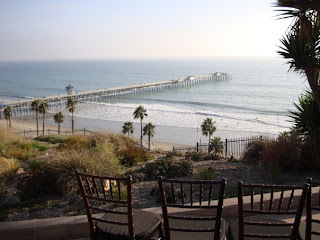 The next two weeks of blogging will be from across the country on our trip to California for Marissa's wedding. We will be blogging our trip with how we are stretching the dollars while on vacation. 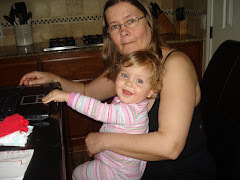 Thank you all for the prayers and Kristy is on the mend, and this Grandma cannot wait to meet the families newest arrival Baby Mahala in a week and a half.